Paradoxine® is branded nutrition ingredients launched by Win Health International Co., Ltd.
Paradoxine® is Ethanol extract of Grains of Paradise. Paradoxine® is non-stimulant mild herbal fat loss ingredients. Paradoxine® can trigger thermogenesis and decrease body fat. Paradoxine® is proved to contain aframols. In the seed of AframomumMelegeuta, there are lots of similar chemical structure components which showed pungent odor, such as 6-paradol, 6-gingerol, 6- shogaol, 6-gingerdione, etc. The proprietary matrix of pungent aromatic ketones was named Aframols. Paradoxine® is standardized to aframols. In humans, there are two types of adipose tissue, WAT (white adipose tissues) and BAT (brown adipose tissues). WAT is the sites of energy storage, while BAT is responsible for cold-and diet-induced thermogenesis, which helps to control body-energy expenditure, as well as body fat content. Paradise extract (especially including aframols) was found to promote WAT transformation into BAT. 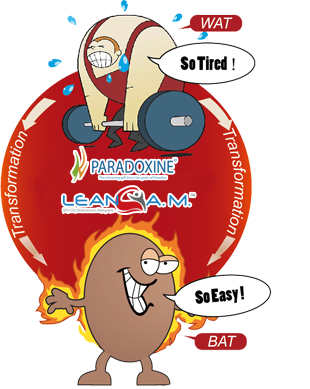 Paradoxine® is your ticket for higher work output, and greater fat reduction. 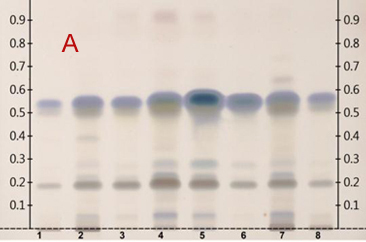 Only Paradoxine® have a validated reference standard and assay method. Only Paradoxine® haveChromadex 3rd party certifications so bodybuilders and dieters can use Paradoxine®with peace of mind. Only Paradoxine® has scaled up to mass production meeting high quality standard. Aframomum Melegueta have long-term safety data in both humans and rats. Aframomum Melegueta have an established research program, with further clinical trials underway in 2016. Only Paradoxine® is std. 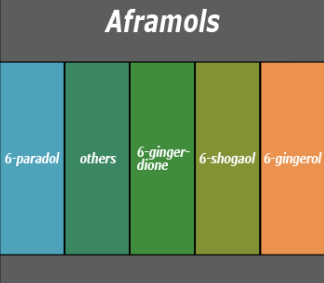 for aframols. 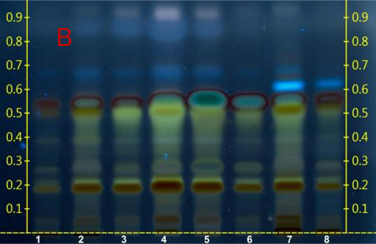 Detected at visible light (A) and UV 365nm (B). Lanes 1, 2, 7, 8 are the reference samples used for comparision. 5 and 6 are our raw materials.